Ever since ride sharing began, we've loved how easy it is for travelers to get around in unfamiliar locations. But, while we used to almost exclusively recommend Uber to families traveling to Disney World, we've had a lot of recent experiences that have turned us into 100% Lyft fans. First things first - what exactly is ride sharing & why should you try it? Should I use Lyft or just rent a car? Why wouldn't everybody use it? Why do we recommend Lyft over Uber at Disney World? How do you use Lyft? Where can you use Lyft at Disney World? Companies like Lyft and Uber are part of a transportation trend called "ride sharing." Basically, it's a private citizen (acting as an independent contractor for a company) using their personal car to transport you around the same way a taxi would. There are lots of times when Lyft (or Uber) can make getting around easier, quicker, and so much less stressful. Even if you've never used Lyft before, we think you should at least consider it when at Disney World. If you don't live in a city where taxis or ride sharing is common and this is all brand new to you, the thought of hopping into a stranger's car may seem a bit intimidating at first. The entire process is very easy, and the app makes it simple to go from Lyft novice to full-blown expert quickly. More on how it all works below. Considering renting a car at the airport? You might want to think about using a service like Lyft instead. Now that Disney charges resort guests for parking, it makes the cost of having a car on property a lot more expensive and the idea of using a service like Uber or Lyft far more attractive. Not only will you save on parking fees and rental car fees, you also won't have to worry about trying to find a parking place at your resort or having to deal with parking at the parks. Sure, Disney makes parking easy, but in most cases, if you Lyft or Uber to a park you'll have a lot less walking than if you drove. It involves a little math, but you can crunch the numbers to see what makes the most sense for you. Take a look at your daily plan and map out which days you'd likely be driving to the parks. For reference, we usually do a mix of Disney buses and Lyft each day. You can get estimates for the cost of your fares on the Lyft website (or you can even plan mock trips in the app if you'd prefer). Now, total it all up and see which is the best option. Traveling between resorts. Disney doesn't provide direct transportation between most resorts so this saves a lot of time. Early morning reservations. Although Disney will provide early transportation to most things (such as early dining reservations in the parks), the buses don't run as frequently. You can often save a lot of time by using Lyft. Going offsite. If we want to go somewhere outside of Disney World, including Universal, we are likely to use Lyft to get there. To/from the airport. Magical Express is a fantastic option, but if you need to get to or from the airport faster, Lyft is the best option. Sounds like a good idea, right? Well, there are a couple of situations where you might not want to use Lyft. You have a lot of luggage or people that would require a higher level of service and maybe not make as much financial sense. If you are travelling with a child needing a car seat, a Minnie Van may be a better option. Minnie Vans seat 6 people and have 2 car seats available, however they cost considerably more. Surge pricing makes it cost more than it's worth to you. Surge pricing is when Lyft and Uber increase their normal rates due to high demand. This used to be a lot more common than it is now that there are more drivers, and, in fact, its been several trips since we've seen surge pricing. The app will tell you the full rate before you request a car so you'll know the fare ahead of time, though, so you won't get sticker shock when you get the payment. For years we've strongly recommended using Uber, but that's changed recently. Here are a few reasons why. We used to use Uber in part because it has better name recognition and there were simply more drivers in the Orlando area. But all that changed when Minnie Vans came to town. Minnie Vans utilize the Lyft app, and because of all the promotion for Minnie Vans, there was a dramatic increase in the number of drivers for just the regular Lyft service, too. One big (and very important) outcome of Minnie Vans is the maps utilized by the internal systems the drivers use. Disney World is undergoing a TON of changes right now with a lot of road construction that can really play havoc with GPS. But, because Minnie Vans use Lyft, it appears that Lyft keeps their system maps far more updated for the Walt Disney World Resort area, which means you're less likely to have your driver take a wrong turn. Plus, we've found the Lyft app to work a lot better for narrowing down a specific building at a Disney resort. The Lyft app actually has the building numbers included in a drop down, so you can be sure you're selecting the right spot. And having the building number available makes it easier for the driver to find you quickly and efficiently. Being dropped off and picked up at your building is a huge perk to using a service like Lyft. And, finally, the drivers themselves. We've had far more positive experiences with Lyft drivers than Uber, in part because it appears the minimum driver rating for Lyft drivers in Orlando is higher than for Uber. Don't get us wrong, we've had some amazing Uber drivers (and there are lots of drivers that actually work for both Uber and Lyft), but the drivers we've had with Lyft have been superior by far. Lyft is an app that you install on your phone (available for iOS, Android, and Windows phones). From within the app, you can request a Lyft driver to pick you up and take you wherever you're headed. New to Lyft? Use code SHANNON30277 for some free credit on your first few rides. At Magic Kingdom, because only Disney buses/monorails/ferries/Minnie Vans go directly there. You can walk to The Contemporary and get Lyft from there, though during busy times the security guards at The Contemporary may not allow this. You can also ask to be picked up/dropped off at the Transportation and Ticket Center when traveling to/from Magic Kingdom. The Casitas at Coronado Springs Resort. You can get Lyft at the main building at CSR, just not in the Casitas sections themselves. The middle part of Disney Springs. Lyft and Uber drivers can only pick up and drop off at the ends of Disney Springs - the area near the Cirque du Soleil building and the old bus stops in the Marketplace section (behind the Disney Days of Christmas store). ...and the pickup location will default to your current spot. In the "where to" box, type in where you're headed. You can also change the starting location from where it automatically detected you to something else, if you'd like. The cars shown on the screen show how close Lyft drivers are to your current location. Notice at the bottom that you have options such as Lyft, LyftXL, Lux, and Lux Black XL? The default is popular options like just "regular" Lyft, but you can slide the screen to the left to see more options (including Minnie Vans). Minnie Vans - Minnie Vans are owned by Disney and driven by Disney Cast Members. They seat up to 6 people and come with 2 car seats but they are significantly more expensive than a regular Lyft, however, they can go places that traditional ride share options can't. To request a car for later, click the calendar/schedule icon directly above the "Request Lyft" button. That will allow you to choose a later time to be picked up. To request a car for now, click the request button at the bottom of the screen. That takes you to the confirmation screen. From here, you can adjust your pickup spot by dragging the pin on the map. Within just a few moments, a car will officially have accepted the request to pick you up and you'll see info on them on your screen. You can see the name of the person picking you up, usually see their pic, the make and model of their car, and their license plate number. That way you know who to look for. From here, you can cancel your trip, share your ETA via text, see the fare, and contact the driver. We usually hit the contact option (which will allow you to send a text message to the driver) to let them know where we are (such as "waiting in the lobby of Pop Century" or "in the car pickup area of the parking garage"). That helps to clarify your location and get them to you without any confusion. When the car arrives, you should always double check the license plate number before getting in. All Lyft and Uber drivers will have a decal/emblem clearly displayed on their front windshield, too. Some Lyft drivers may also have a bright LED Lyft sign (called an Amp) on their dashboard. If they do, your app will tell you what color the sign will be. It changes color depending on your pickup to make it easier for drivers and riders to find each other (which is especially handy in busy pickup and drop off areas like airports or at park closing). If your Lyft driver has an Amp, it will also show your name. The color and name on the signs make it much easier to connect to the drivers who have the signs. After a driver has picked up your request, you'll be able to follow their progress to you in the app so you know exactly where they are. Your driver should arrive shortly, and at the end of the ride the app will prompt you to rate them, and they'll rate you within their app. Drivers have to maintain a high rating in order to keep driving for Lyft. And passengers should want a high rating so that drivers will want to pick them up in the future. As you get out of the car, you might want to say something like "thanks for the ride, I'll give you 5 stars in the app" just to make sure they know you thought it was a good experience, and they'll likely reciprocate. Payment is automatically processed with whatever payment method you selected in the app. Tipping isn't required, but you can tip if you'd like. Traveling with bags? We suggest tipping $1/bag if the driver helps you load/unload luggage. Unfortunately, Lyft doesn't offer any cars that provide car seats in Orlando at this time. Minnie Vans, however, do - but they are a lot pricier than just a regular Lyft. Uber, on the other hand, does offer a level of service called UberFAMILY that includes car seats. You can get UberFAMILY for an extra charge (~$7-10) which will provide a car seat for your ride. This is available with uberX and uberXL cars. The Uber driver is required to have 1 car seat from a list of approved models that hasn't been in a car accident. FYI - Orlando's version of UberFAMILY isn't following the same structure as other cities who have stricter rules (more info on that). Before you leave for your Disney World trip, be sure to download the app, sign up for an account, set your profile pic (the drivers need to know what you look like when they pick you up! ), and add your payment info. What other questions do you have about using Lyft or Uber at Disney World? Feel free to leave your questions in the comments section below! For EMM at Magic Kingdom, could we use Lyft/Uber to drop us off in the morning at the Contemporary and walk over? Will we have any issues getting a ride that early? We also have EMM at HS. We are a party of 2 and are staying offsite without a rental car. Is your discount code still active? We are arriving on 2/24. We just updated the article so the code is current. Have a fantastic trip! Hi, are there any issues with Lyft or Uber drivers and insurance? As in, what happens if there’s an accident? I heard it might be a grey area as they are not licensed taxi drivers. Hello! Do you guys know how much a Uber would cost from Miami International Airport to Orlando, Kisseme area? I’m wondering if its convenient. Thanks a lot! Can Uber pick me up at Bay Lake Towers and drive me to a major grocery store to shop? Also can I be brought back at or close to Bay Lake with my groceries? Yep! Definitely. I’ve been picked up and dropped off there many times. Yep! Definitely can do that. Can Uber get onto property at Shades of Green to pick us up? Can Uber take us directly from MCO to the Contemporary Resort? (Bay Lake Tower). How much is it approximately to go from WDW to Universal? We are going in the second week of December 2018. You can open the Uber app and put in the 2 locations to get an estimate. I just did and it said around $20 to go from WDW to Universal. If we plan to Uber from MCO to Wilderness Lodge resort on our arrival date where should we ask Uber to pick us up? Yep! My Uber code should still work – shannona9. Uber picks up from MCO now, so just open the app and the driver shouldn’t have an issue finding you. Have a great trip! Thank you for the article. We plan to go WDW around Christmas time and stay at a time share (Hilton Grand Vacation) half way between WDW and Universal. I am considering not getting a rental car at all and go 100% Uber/Lyft: to/from airport and daily travel to/from parks. Q: Do you think this is doable….. can we, a family of 4, “survive” without a rental car for a week. I travel for work a lot to trade shows and use Uber/Lyft often. For some of the massive shows I have attended, Uber/Lyft is extremely difficult to get at the end of day when everyone is getting out. We could stand for 1 hours and Uber/Lyft drive could not get to us due to traffic. Or the rate surge so high it no longer makes sense. Q1: At WDW and Universal, when would be the typical “peak time” and how is it like? Q2: How long does these “surge periods” usually last? Q3: Should we go with Taxi is we really need to get somewhere during this fee surge period, and is there taxi available at WDW or Universal. Hello! I am also staying at a HGV by Disney in a few months and wondering if you decided to go the Uber route and did it work out for hou? I am worried about going rogue from Magical Express and MCO and instead booking an Allegiant flight home and taking an Uber. The Uber app quotes me at $45 from Pop Century to SFB, but I’m not sure how this price will change in December and if they are going to want to charge me per seat(family of 4). Any insight? Prices don’t change unless it’s super busy and they have surge prices. The price (like a taxi) is per ride, not per person. Do they have any cars that will take ECV? Can an Uber driver pick me up after the Hoop Dee Doo show at 6:15 and get me to MK in time for the 9pm fireworks show? I am assuming the Hoop Dee Doo show ends around 7:45. If not, do you think the buses would get me there in time? Thanks! No cars are allowed at the location where Hoop-Dee-Doo is located, but you can take a boat directly from the boat dock located near the show over to Magic Kingdom. We stayed at the Wyndham Lake Buena Vista Garden which is just a few minute walk from Disney Springs. They offer shuttle bus service to all 4 parks but the service can be slow and crowded. So to avoid the hassle, we got an uber from our hotel to the Disney Transportation and Ticket Center. We used the code below to get a free ride. The car dropped us off at the Uber drop spot by the Disney Transportation and ticket center within 10 minutes and we got right onto the monorail and made our way to the Magic Kingdom. We stayed late to watch the fireworks at the park then took the ferry back to the Disney Transportation and Ticket Center, while on the ferry i schedule a Uber car to take us from there back to our hotel. When we arrived at the Uber pickup spot, our car was waiting and took us to hour hotel, it took about 15 minutes. Overall the service saved us time and headaches of using the shuttle, which makes stops at 3 other hotels in the area before it reaches our hotel, that would have taken over 40 minutes since the buses are very crowded. We had a wonderful time and suggest others with 1-2 kids to do the same. The uber also provide car seats for kids, you just need to let them know that you will have little ones on board. Feel free to use my code hirar226ue for a free Uber ride or $15-20 off. Also check out our Youtube channel for videos from our Disney trip! Have Fun and safe travels! Hello. I LOVE Uber and use it all the time, but didn’t realize they had a family option. Any idea if any Ubers have more than one carseat. I will have a 15 month old and a 3 year old. The new Minnie Vans service from Disney might work better for you if you’re staying onsite. They include 2 car seats and it’s $20 each way. Does anyone have a recommendation for how much time to allot to get from resort (for us POR) to each of the parks? I know with Disney transportation to allow 60-90 min. Is there a significant time savings for using Uber — what time would you plan on being picked up from each of the resorts? It has usually taken about 10 minutes for an Uber to arrive after requesting, and then it’s about 10-15 minutes to get to each of the parks. Hi, I am very confused about the Uber option for SFB. When I entered info for a quote the only pickup option was the SFB employee parking lot. When I googled Uber and SFB I got a lot of mixed messages many people were saying Uber is not allowed to pick up at SFB. Any info would be appreciated. Thanks! Feel free to use my Uber promo code – rylhs – valid for a free ride (up to 15$). the code is valid only for new Uber users. These are excellent tips. I have never used Uber before, but we are heading there on April 23rd so cant wait to give it a try. Looks like it may save us some times. Does our Uber app in the UK work in the US? Or do I need to install a new one? yes, it does. Same app works everywhere 🙂 You will be charged in the local currency. Also – if my daughter is 4 – do I need to bring a car seat or use UberFmaily?? What did you do about a car seat for your daughter? Are there any Ubers with capability to carry an ECV? Has anyone taken Uber for late night trips off resort for groceries? What is likelihood of that happening and do you have tips? Going with my family in July and staying at the Cabins at Fort Wilderness. I heard you have to be picked up and dropped off by the front entrance. My Uber code is tracyp4118ue. Feel free to use. Going to Disneyworld in 1 month!! HI! Has anyone used UberFamily recently? I’ve read that when they launched the service (over a year ago) there was very limited availability. I was wondering it this has changed in the time since first launched? Use my code aprilw225 for $20 off your first ride! Hi! I just added your code (thanks btw!) but it said $10 not $20. could it have changed? We are staying at Saratoga Springs resort and then heading to Port Canaveral for a Disney Cruise on Sunday, 2/26. Can we rely on Uber to get us there? I appreciate any advice! No, it’s just per ride. Does Uber take you into Animal Kingdom, Hollywood Studios or Epcot? Uber can drop you off at the entrance of those parks. My daughter is meeting us at Magic Kingdom. She is arriving by train in the early evening – we will already be in the park at that time – can she take an Uber directly from the train station in either Orlando or Kissimmee and meet us in the park? Not sure where she can be dropped off at Magic Kingdom. I will be staying in Reunion Resort which is a gated resort. Will Uber drivers be allowed in and able to pick me up from my actual Villa? How do you get to Magic Kingdom using Uber (best drop offf location)? Help! I think I messed up. We are going in April so I just downloaded the app – but don’t see anywhere to add a discount code. Do you use the discount code when you go to request your first ride? This is our first time and only time our family of 5 will be able to afford a Disney trip. Listened to a travel agent that told us it would not be too crowded Easter week. Now I am nervous about the crowds and trying to find ways to improve our time. Thanks friends! To add the promo code, go to the menu on the left side and click promotions. You should be able to add the promo code, that will be valid on your first Uber ride. Thanks for the tip about the inflatable booster seat! Is Uber available after the Christmas party at the Magic Kingdom? The wait after these events for the buses can be really long. I’m hoping we can avoid that and get back to our resort (POR) a decent time. I recommend walking to the Contemporary resort (5minutes) to catch your uber. Are ride codes only available for your first ride? Yes, the free 15$ code is only valid on your first ride. It’s valid for a free ride (up to 20$). The code is valid only for new Uber users’ first ride. Heading to WDW in June 2017 – sounds like UBER may be a good option to get to Hoop Dee Doo Revue? Does anyone know if they allow the uber cars to drop off at Pioneer Hall? And where they would pickup to go back to resort (Beach Club)? No cars are allowed to go to Pioneer Hall. Easiest way to get there is to go to Magic Kingdom and take the boat over to Pioneer Hall. Headed to Disney for two weeks in April. Travelling with two kids, and thinking that Uber will be way cheaper than a two week rental. We are staying offsite so, would love to hear if anyone has had recent experience getting to/from parks? Best places to be picked up/dropped off? Thanks in advance! 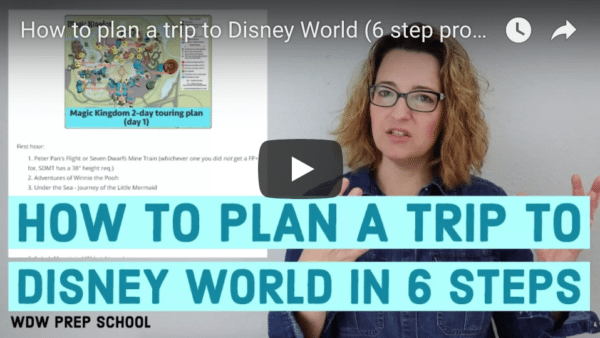 Just a suggestion, but you could UBER to the TTC each day and take Disney transportation from there. It will provide planning consistency for you, plus it might add the Monorail excitement to your children’s experience. Besides, if you’re going to MK they are probably going ot drop you off there anyway. See UBER site link below. Good luck! We took uber (2 adults) to EPCOT in November. SOOO easy and was 8 bucks each way. You are looking at 10 each way x 2 per day. 20 bucks x 14 days = 280. not to mention if you want to go to eat off property, go to the store, etc. Add another 100. 380 is probably near the cost of a rental, but parking the rental would be 20 per day. taking the shuttle from an off site hotel is a pain in the rear…. Hope this help. Feel free to use my Uber promo code – rylhs – valid for a free ride (up to 20$). the code is valid only for new Uber users. For a free ride, feel free to use my Uber promo code – rylhs – valid for a free ride (up to 20$). (only for new Uber users). The code is valid anywhere in the US. Has anyone used Uber to go from the Allstars Music Resort to Disney Springs and if so how much was it? Download and set up the APP. Its safe to do so, plus you can get fare estimates on it from ANYWHERE to ANYWHERE. Their website is also another option for getting estimates if you’re uncomfortable with setting up an account on the app. Hope this helps. Used Uber for the first time just before Christmas to get to Disney from our resort . I was apprehensive at first but found it really easy to use. Used it loads of times after that over the Christmas and New Years holidays. Never waited more than 5 mins to be picked up and even though there was surge charging on Christmas Day and Boxing Day it was still a lot cheaper than the regular taxis and more reliable. The drivers were all very pleasant and helpful. Will defiantly use again on our travels. We love using Uber on our WDW trips! never used it but could i get an idea of price from sanford airport to disney all star movies. Thanks for any help! Has anyone ever sent their luggage with Disneys magical express and taken uber to the resort or park? We’re thinking of trying Uber for the first time on this Disney trip to run out and get some groceries and wine. Wondering if anyone has an estimate from Saratoga Springs to a close grocery store? Trying to way the options for cost between using an online delivery service/a regular taxi and Uber. Thanks! Cannot recommend ridesharing enough! It’s a lifesaver! Has anyone ever checked your bags in with Disneys magical express and then used Uber to get to resort or parks? We need to get from the beach club to the port for our cruise in july and then from port back to beach club. Disney charges 70pp! And a van service is 350 for us. There are 7 of us (4 adults and 3 kids. I am wondering if 2 cheap uber cars would be cheaper and if it is even a pissibilyu? Anyone know? We did this with a group of ten going to and from the cruise port from our WDW resort. Used Florida Town Car, a nice guy in a van drove us. Saved a ton of money over using the Disney bus and we were able to stop at a store on the way there. We have a family of 8. All are over the age of 7. What is the best way to use Uber for early morning reservations? Two ubers maybe your best bet. Or you can try to find an xl that is large enough. If two people in your party use the code “w9dml” and each request a ride, you both get the free ride! Could anyone give me a ball park figure for Uber from MCO to the MK? I priced it at $57 just now. What is the best drop off point to use Uber from AoA to MK? I know you can’t take it all the way but is there a drop off close you could catch a bus into MK? Just download the app and add the code. Feel free to use my Uber promo code – rylhs – valid for a free ride (up to 20$). This code is for new Uber users. If you are struggling finding a job ridesharing might just help. In need of work or just some extra cash for the holidays check the link below for more information. Just wanted to provide some input to let folks know that we took Uber to Epcot and back to our offsite hotel. There is a new drop off and pick up station right near the entrance in the parking lot. It was very easy to find and so quick. Our Uber price there and back was cheaper than $20 parking. Loved it. Thank you! I’ve been trying to find out if Uber will pick up at Epcot and take us to our DW resort! Thanks Shannon! These are awesome tips. Looking forward to using Uber onsite. I welcome others to try it out & use my 1st FREE RIDE code luciap298ue. Can Uber take you to Orlando International Airport? Is there a certain drop-off or can they drive in to departing flights drop offs? Yep, you can take Uber to MCO. They’ll drop you off wherever you need to go. Hey guys, Uber is a great way to make money also, I have a promo code that will grant you the double of what you make in your first 50 rides. Just use the code I’m about to give you when you sign up to drive with UBER. You can make a profit of $410 extra in your first 50 rides. Remember to use the code where it says (Invite Code: optional) it says optional but if you don’t type it you won’t get the reward. Cheer everyone and happy driving. Makes transportation much easier and faster for early morning reservations. I have been using Uber at Disney to get around and it is the BEST and fastest way to get anywhere. Even during peak hours it far less expensive than mears and saves you an incredible amount of time! Hello! I just wanted to share my Uber code if anyone wants to try their first ride for free! I haven’t used Uber in Orlando yet, but I use it all the time on trips when I don’t have a car and I’ve always had a really great experience. Hi! I am thinking of using UBER for the first time during an upcoming trip to WDW. Advice would really help. I am flying into Sanford then staying at Waldorf. We are going to the late night Christmas event, so will be wrapping up near midnight. We are then going to pick up luggage at hotel and then on to Port Canaveral to leave the next day on a cruise. How would I enter that trip in terms of destination? Should I just say “to Cocoa Beach” and ask driver to detour? It will likely only take a couple of minutes to get the luggage, will they wait? Is there a wait fee (I don’t mind)? Is it hard to get an Uber after an event to drive such a long distance? You can add multiple destinations. Most drivers, particularly in tourist areas, will drive wherever. It’s worth their time! Feel free to use my code “w9dml” to save some money. Good luck! Can you order Uber with two car seats and two adults ? Car seats are no longer offered by Uber. My uber promo code is alejandrom4163ue. Try it out for your first FREE RIDE. Will the Uber app work on iPad? I don’t think I have data on my US pay-as-you-go Samsung cell phone. My husband has taken the car for an extended amount of time and I’m stuck at a vacation rental. I should be able to take Uber to Magic Kingdom alright, don’t you think? Wouldn’t they drop me off at the TTC? I was also curious to know – how can you know in advance when surge pricing will be in effect? My Uber code is evelynm1599ue. I am in the middle of my Disney vacation and have been using Uber. It is super convenient and the price is great! We are staying offsite and the shuttle only runs to Disney a few times a day, so we just Uber when the shuttles not available. I even used Uber to pick up groceries after ordering them online at Walmart. FREE UBER RIDE – I’ve been using uber for my Orlando/ Disney trip and it works great at all of the Disney parks. My experience has been great. My promo code is MiguelT10. Feel free to use it for your first free ride. I think Uber promo code for first time riders is a good publicity stunt for Uber, it will attract a lot of riders. I tried Uber not that long ago, I can tell you if it wasn’t for the free promo code, I wouldn’t try it. I’m now using uber pretty much all the time. I always used an Uber with my 4 year old grandson inside and outside Disney with no problem. I live it! FREE UBER RIDE – I’ve been using uber for my Orlando/ Disney trip and it works great at all of the Disney parks. My experience has been great. My promo code is wingc30. Feel free to use it for your first free ride ? Wondering about Uber picking us up from Fort Wilderness Cabins and taking us to the resort. Anyone had any experience? We would still be able to send our luggage on the magic express from the resort, correct? FREE UBER RIDE – My promo code is wingc30. Feel free to use it for your first ride ? Can anyone share the most recent Uber drop off and pick up points at all WDW parks? Also the same for AOA resort. Thanks in adv. They pick you up wherever you are (almost anywhere). When I stayed at AoA, I had them pick me up and drop me off right at my building. May I pay Uber by cash at Orlando? Can’t do Uber with cash. It’s a card-based system. You could take a taxi and pay with cash though. My code is aprilw225 ? My promo code is wingc30. Feel free to use it for your first ride ? I hear Disney’s cracking down on Uber at the resorts. I guess it would be best to get one at DS to go Universal then? Also, I entered a code, but didn’t realize it would expire in 3 months. If I don’t use it by it’s expiration date and enter a code again, will it work for the end of February? I just took Uber between resorts multiple times last week with no problem and talked to drivers to get their thoughts. No indication of cracking down that I saw. I saw no evidence of “cracking down” by Disney when we were ther at Thanksgiving! Saw Uber everywhere, and they were our lifesaver when we overslept on checkout morning and missed our Magical Express bus back to MCO. Uber got us to the airport on time (and thankfully TSA helped get us through security so we didnt miss our flight!). As for not cracking down, the lead baggage person, or concierge, etc was quite helpful in suggesting Uber to get to the airport quickly and inexpensively. He didnt even suggest a taxi. My Uber code is lynseyr97ue. Feel free to use it for your first ride! Thanks for the great tips here. I’ll definitely use them for my trip to Disney next month. Anyone take Uber round trip from DisneyWorld Polynesian resort to Legoland. Did you have trouble getting a Uber coming back??? Shouldn’t be an issue. That’s what’s so convenient about Uber – you can call them from almost anywhere and they will pick you up. Any idea how much uber or lyft will be during Halloween horror nights to Wyndham bonnet creek? Thanks! You can download the app and use the fare estimation to see how much it would cost. No way to predict now if surge pricing will be in effect that night, but you can check normal fares now. Thanks for this helpful article!!! I’d like to take Uber from the Dolphin to The Hoop Dee Doo Revue at Ft. Wilderness … Do you foresee any issues? That’s one area that’s really difficult to get to. The only transportation that can go to the area where HDDR is located is the Disney buses and boats. Your best bet is probably to take a bus to Magic Kingdom and then a boat over to Ft. Wilderness which will drop you off right where the show takes place. Afterward, there are usually buses to take you directly back to your resort. What is the best way to get our family (including a 4 year old and 6 year old) to the Magic Kingdom early (for Bibbidi Bobbidy Boutique) and from one resort to another (going to Grand Floridian for the pirate adventure cruise)? Any way to assure an Uber driver will have 2 car seats? And can you arrange Uber ahead of time for pickups? Would want to be a sure one with two car seats was available when we need it. Thanks!! Can Uber pick me up at Hollywood Studios and take me straight to MCO? My flight leaves at 3:15 pm. How much time should I allow for the Uber ride? I’m trying to squeeze in as much park time as possible on that last day. Thanks! Yep! You should allow about 45 minutes or so. Do you know if we can UberX from Tampa International airport to a DWD resort hotel? Visiting mid-September and staying at an offsite property. Should we uber to a disney hotel resort and then take their buses or should we uber directly to the theme parks? Go directly to the theme parks for sure. We are planning on checking out the Boardwalk area one night after Epcot closes. I was trying to figure out how we would get back to Pop. Sounds like an Uber is exactly what we need, right? Looking at the map it seems like we would have to be picked up at the Boardwalk Inn Resort. Any other ideas? Feel free to use my Uber promo code – rylhs – valid for a free ride (up to 15$). This code is for new Uber users. Hi. I have Uber and an existing unused £15 code. Will this translate to a $15 code when I am in the Florida? Planning to go from contemporary to universal studios – will that be fine? The codes have an expiration date so as long as you’re using it before it expires, it’ll work. One code allowed for your first trip as a way of introducing you to Uber. After that, you’ll need to pay. Any idea about drop off points? Yes, you can catch a ride to and from Disney Springs. Just remember, that the pickup for DS is in the strawberry lot behind the Cirque building. And the pickup for MK is at the Ticket and Transportation Center behind the taxi line. Feel free to use the shareable code, 1r4sp794ue, for your first free ride. I just reread your question. Yes, from the Holiday Inn, you can request a ride and your driver will pull up to the lobby in no time, flat. You’ll be presently surprised how many drivers are around that area at all times. I got an uber today at Disney springs. The app detected that’s where I was and told me to go to the strawberry lot to get a driver… I would advise knowing where the strawberry lot is ahead of time so you don’t get lost like I did… Luckily there was a nice cast member with a golf cart who helped me out. Other than that, it worked perfectly! Would I be able to uber from Blizzard Beach to MCO? I’m flying out tomorrow evening and I’d like to be able to leave straight from the water park (long story, but it’s much more convenient this way. I’ll have my luggage with me because we have a Polar Patio). Thanks! Yep! Won’t be a problem at all. Could any tell me if they were able to install the APP in the UK and use the promo codes in Orlando? I’m not sure how this would work. Yes, it would work. Have a safe trip! How long would it take to get from CBR to Contemporary to then get to MK? We took a taxi from CBR to Contemporary in about 10 minutes in the pouring rain and then had a 10 minute walk to MK for an early 8 AM tour. I know our driver was breaking the speed limit by double and it was terrifying… I’d allow at least 30 minutes for the trip and another 10 or so to get through security lines. Can I take an Uber to Contemporary without a dining reservation and walk over to MK before opening? Where would the drop off be? Also, I see so many tourists who waste just so much time waiting for the buses and doing transfers, etc. The transportation while world class, still takes a very long time unless you happen to have very good luck. It will take you no less than one hour to get from the TTC or ANY park to Disney Springs as you will have to go to a resort first then transfer. Across the board. Use an Uber or Lyft takes about 10 or 15 mins. Costs around $8-$11 including tip. Considering dear the price of a Disney vacation is, this would seem like peanuts to me if I were visiting. Wait – I live here and go ALL THE TIME and still use these services! You get the point. We prefer Lyft over Uber, simply because you can tip in the app. Prices are a little cheaper with Lyft, too. If you hit surge pricing (like 11:25pm when the fireworks just ended and you are that TTC with 20k other people) – check both of these, sometimes one will lag behind and you can snag a ride at a low rate while the other is at crazy surge pricing. This very scenario can be played out each night and the prices quadruple if not worse. Check both before committing to a ride and keep this in mind when planning your pickup! If you can walk to a hotel quickly, may be better to call from there than fight the crowds at the TTC or any other area where the parks are funneling people out. Either way, if you don’t mind spending a little more $ you can really speed up your A to B in Disney World by using these services, and yes so far they have been nothing but safe and convenient (I’ve used them over 100s times around the world). Thanks for the advice from a resident, much appreciated as always! Considering that we want to avoid parking fees, where would you say is the best place for uber pick-up and drop-off for MK, DHS, AK, EPCOT and Disney Springs? I put in a Chase promo offer for my first ride (which won’t be until I get to Disney next month), but am unable to add other promo codes listed in the comments here. How does this work? Do I need to make a list of codes and use them one at a time, is there a place in the app to store codes, or am I unable to get more than one free ride with promo codes? Thanks for the help! My code is sharonm6191ue if you would like to use it! You can only use a code one time. Could you tell me about using a UK PayPal account for Uber? Any hidden charges/exchange rates? So I’m a bit confused of which parks it can go straight to, obviously because cars need to pay to go through certain car park areas, so where are the best places to go for which parks? I’ve used US Uber in the UK (and Australia, and. and. and.) So long as you can take and make outgoing texts and calls and have some data, you should be fine. What about taking an über from Caribbean beach resort to Lego land? Would it be cheaper to just rent a car? There are many factors to take in consideration. In my case I would rent a car, is going to be cheaper. So, if I need pickup from POP for a 7:30 am reservation at Beach Club, when will I submit that in the app? Has anyone been able to NOT get a pick-up? This will be my first-time using Uber, but seems like the easiest way to get where we are going. And I have a 5 year old, so I need to request a family car, correct? Thanks for any advice!! The app will tell you the estimated time of pick up before you submit the request. I’d say no more than 20 minutes to get one… Probably more like 10. Just open the app and look – you’ll see all the cars (or lack of them) and the estimated time to get picked up. Sometimes takes a bit longer as the apps don’t really estimate traffic correctly, especially if the driver isn’t very close by. So I have a question from the article… only Uberblack picks up from Orlando international airport ? We are going to a Hilton property not Disney . Yes – because the shuttle services and the taxis raised a fit, the airport only allows the much more expensive Uber Black service to pick you up at the airport… these are basically nice Lincoln town cars that will cost upwards of $50. You can use regular Uber/Lyft to get dropped off at the airport though (much cheaper). I am planning my family’s trip for next year and was wondering about UberXL. Is UberXL available throughout the day like from park opening to closing? We have a family of six and would need a larger vehicle for transportation. Where does Uber pick up and drop off at Magic Kingdom? I was told that you can be dropped off at the Ticket & Transportation Center parking lot and then you can take the ferry or the monorail to the Magic Kingdom. Our WDW resort told us to be dropped off at the Contemporary and then take the walkway (about 10 minute stroll)for an early morning tour. By the time we arrived the monorail and buses were running but they didn’t start early enough to give us an hour to 90 minutes transportation and then to get through the security line and make our reservation. Headed to Disney in two weeks and excited to try out Uber to get around. We’re staying off property–sad–so hoping Uber makes getting there painless and easy. Anyone ever used it back and forth each day? Use code UBERXDISNEY for a free ride up t0 $20 off! Would I have a hard time requesting a driver at 5am on a Sunday for drop off at MCO? No you won’t. Maybe the wait os a little bit longer, but not a lot of time. MCO have tons of early flights. Great post, looking forward to using Uber at Disney. Hopefully it won’t be a problem with a UK phone and no data allowance. My older mother will need a ride from a Disney resort to church and back during our trip. We would like to use uber but she has no smart phone (and technology is not her thing). I assume we can we set it up, wait with her for a pick up to get to church but can we also arrange the ride home for her if she has no smart phone with her? I drive for uber and you(the account holder) do not need to be present. Once you make the request just text or call the driver and let them know the ride is for a friend. All they need is a description of clothing. I plan to go straight from a park to the airport. Is it possible to have Uber pick me up in the parking lot by my friend’s car (they’re staying much longer)? Or, is there a place to check my suitcase? Any suggestions are greatly appreciated! I think it’s better to take an Uber instead of waiting so long for the trains. Uber is lifesaving, I used to pay a lot on yellow cabs, not anymore! Used Uber a couple of times last week when the bus lines were crazy long. We used Uber XL Car Seat both times and they were great. The drivers had a care seat for our toddler and a booster for our 6 year old. A friend of mine told me that Animal Kingdom Lodge won’t allow Uber onto the property. They were there in March. Anyone experience this? We used one to arrive yesterday. No probs. Driver had to show his I’d and we had to show ours but let us in fine. Anyone know when price surging usually happens? was planning to use uber in july but thats high season and it may not be worth it if they surge. Yes , the app will notify when the surge prices are in effect (and the amount). Before requesting the uber, you will need to accept the surge price. Feel free to use my Uber promo code – rylhs – valid for a free ride (up to 10$). MCO only allow UberBlack to pickup from the airport so the quote to get to where I’m staying near Buena Vista Lake is about $90 and up! WAY too pricy for me. However looks like if I take the Lynx one stop ($2 ticket) to the Florida Mall, the quote is $25-$50 saving at least around $40. Much more reasonable. How did taking Lynx one stop work for you? I’m going Friday, and plan on doing the same thing. Thank you! Here is my code, sheenar394ue. We will be using user got the first time here in a few to get from AOA to Kona Cafe. My code PAULW11349UE, 1st ride free (up to 15 dollars). Drivers are quick to pick up and very polite. Feel free to use my Uber promo code – rylhs – valid for a free ride (up to 15$). Code is valid only for new Uber users. Here’s my promo code. Feel free to use it for a free ride. Love using uber at Disney so easy! Where is the walkway to Contemporary? As you’re heading out of MK, take a left and keep walking, it leads right to the bus pick up area. About 10 min walk unless you’re a speedster. I live in Chicago and use Uber all the time! Please let me know if you have any questions and I’d be happy to help too! ??? So are these codes something I could use more than one of? I’ve never used Uber before and would love to use it more than once during our vacation. You’re allowed to use a code for 1 ride to get you familiar with the service. After that, you’ll need to pay for your rides. I’m trying to get up to speed on Uber/Lyft at WDW. Do they pick up/drop off at each of the parks? I LOVE uber! I used it during my stay in Orlando & it was so fast & convenient! Feel free to use my code emilyb15535ue to get free ride of up to $15! HELP PLEASE!! I just downloaded the Uber app and plan to use it in a week on our Disney trip. I added a code for the first time riders for $15 and it worked great. I then tried to add some of the referral codes from here people provided, and it will not allow me to? Can you only use one code at a time, or what am I doing wrong? Would someone please help explain this? Thank you TONS in advance! You can only use a code once. That’s just to encourage you to use Uber. Once you use it and like it, you’re more likely to want to use it and pay for it. Keen to use Uber for the first time when we visit from the UK this Spring. Thanks! Used uber in Disney in Feb and it was great! I used Uber to get from Art of Animation to the polynesian at 0700 for a 730 breakfast and it was SO convenient! It was for me and my 6 year old daughter, we did not use family as she is over 5. Here’s my uber code. Feel free to use. We use uber all the time and love it. It’s so helpful in Disney especially if you have early dining reservations at another hotel! With this board’s help I have used Uber successfully at Disney this week to go to Walmart from Epcot, then back to PC. I used it to get supplies and great Disney merchandise at a much nicer price. Tomorrow I will try it to get in between resorts for my conference. This has saved me a ton of money by not staying at the more expensive CSR! I’m going to use it for the first time while here, too! We don’t have it at home yet. I plan to use Uber during my stay as this is the first time I have visited Disney without a car. I plan to go to just go to the store to pick up some groceries as we are there for 9 days. Is there a certain drop off/pick up area at Universal? Thanks! We are coming to WDW in August 2016 from Manchester we have Uber here but will our app work in Orlando or will I be able to download it once I arrive. I’ve never used Uber before, but I plan to use it on my Disney trip in May to get between PC and the conference at CS. I am planning on using UBER to take my family from The Grand Floridian to the The Garden Grill for early morning dining reservations. Is UBER able to drop you off near the front entrance of EPCOT? Or would you suggest getting dropped off at Disney’s Beach Club and using the International Gateway entrance? For an early reservation, the driver may be willing to drop you off right at Epcot. I think it’s mostly difficult for them during busy times. I would just request an Epcot drop off, and if the driver has any issues with it, ask for The Beach Club as a second option. Can anyone confirm 1) that Uber DOES NOT work for Magic Kingdom pickups, and 2) it does for all other parks? I’ve been looking around online and see some discussion over whether Uber can get passed the parking attendants without having to pay for parking and there doesn’t seem to be any definite/clear answer. Will they charge you for parking if the Disney parking attendant makes them pay? I haven’t found any info anywhere else they can’t take you to the Magic Kingdom (only that they drop you off at the Ticketing & Transportation Center and you must take the monorail or ferry from there- but that’s where the parking lot is so I wouldn’t expect them to go any further anyway). No form of transportation can pick up directly in front of Magic Kingdom except for Disney’s own buses, monorails, and ferries. The closest you can come is at Bay Lake Tower or The Contemporary which you can walk to/from Magic Kingdom. That’s what I do. Most people do the Ticket and Transportation Center though. I am an Uber driver and I work the Disney area almost every night. Let me clarify a few things for yall, we pick up and drop off at all the parks. For the theme parks we meet at the guest drop off pick lot, no Disney does not ask us to pay a parking fee. Any cast member can give you directions if you get mixed up on the way out. Disney Springs with all the construction, the pick up area is the Strawberry lot behind Cirque de solei, follow signs to taxi pick up. I know some drivers occasionally drop in other areas but security chases them off, this area is set aside for this. We pick up at all the resorts when I come in, I just have to show a picture ID and they document my entrance if after hours. There was a later comment asking about car seats, Florida law states 5 and under needs a car seat, there is a caveat about being a vehicle for hire. I personally have not been able to confirm this with the police. But Uber does offer a car seat vehicle option for your use, there is a $8.00 surcharge. I personally do not feel your child is safe in the car without a proper safety seat, I see too many accidents by confused drivers or stressed drivers, then mix in the plain bad drivers and speed demons. For the sake of your child buckle them up. I know some drivers will pick up children anyway for the sake of the fare. Can you tell me whether an Uber would be able to pick me up right at my building in the Saratoga Springs or Old Key West resorts? If anyone needs a code for a free $15 ride, my code is mfuel. I need clarification: I have a 2 yr old and I don’t have a car seat at the time of pick up; will the Uber driver refuse to take me to my destination? garya2274ue. We’re using Uber in Orlando for easy, cheap transportation to/from parks. My Uber code is kevinm25720ue. Have fun! looking forward to using Uber at WDW! Thanks for the great info Shannon! I’ve never used Uber before, but I plan to next month on our trip! We’re going to spend a day at Universal and I’m leaning towards using Uber to get there and back. I was wondering where we would be dropped off at Universal and where would be the best place to be picked up there? Thanks for all of the info! We’re now planning to use Uber for our grocery run. Uber has been wonderful around orlando. Please use my ride code erust! We used Uber on our trip last week. It was super convenient when we wanted to go from our resort to another resort for dinner. My uber code is michelef110, enjoy! Can anyone give some estimates on rates? Like how much a 5 mile trip is? If you download the app, you can put in 2 locations and use the fare estimator to see how much it would be. Usually $5-12/trip. Trust me it will be cheaper than a cab! Keep in mind that traffic (rush hour vs non) and demand changes the price. Thinking about staying at the Art of Animation and wanted to use Uber to avoid long bus rides. What do you suggest on how to get to the MK? Really wanted to ride the monorail, but heard The Contemporary security may not let us be dropped there. Did that a lot on my last trip. I asked the Uber driver to take us to Bay Lake Tower and we walked to Magic Kingdom from there. This is definitely a good idea. Last month it took me almost an hour getting from Pop Century to the parks using the Disney buses. (lines were LONG) Taking an Uber will save you time just for a few bucks. When is UberFamily planning to start? Or has it already started around the Disney area? I see it in the app as being an option, but no cars currently available. I think they’re still getting drivers signed up for it. We are staying at Disney boardwalk but I wanted to go to the grocery store/Walmart/target/ that get some food. Would uber be a good way to get there? Is it safe? Yes, Uber is safe. The app will show you drivers pic and licence plate. It will also tell you the ETA and estimated fare, before requesting your Uber. I think the closest Walmart Supercenter is around 6 miles away. You can also walk to the Hess Gas station across the street from Downtown Disney . I’ve never used Uber before but am thinking about it next month. Will be attending a conference at Coronado Springs then switching to a Bonnet Creek property to cash in some hotel points. Any thoughts about Uber vs regular taxi? Mostly want to use it to change hotels & go to dinner at Disney resorts. Feel free to contact me if you have any questions about using UBER in Orlando/WDW. My husband is going to be running in the Star Wars race on April 17. We are staying at the Sheraton vistana villages. He needs to be to Epcot by 3:30am. Are uber drivers available that early? He would probably need to be picked up by 3am. Thanks for your help! Yep! They are available at all hours. Yes, Uber is a 24 hours operation business. The waiting time it might be a little bit longer. but you will know the waiting time , as soon as you open the app. My Uber code is LAURAB13575UE. my uber code is erust and its American, since this apparently a possible issue. I would like to take an Uber from WDW to MCO, you mention that it is not allowed to transport from MCO to WDW but is the same true for the return trip? You can’t Uber from MCO, but you can Uber to it. As the article says, UberBlack can pick up at Orlando International Airport. I want to use Uber between Disney and the convention center, any estimates on cost for that? It depends of the time of the day. Quick question about using Uber between resorts. If you don’t have a dining reservation (let’s say we are going to Trader Sams or something), will the security guards at the hotels let you in? I’m wondering if they don’t care as much since you aren’t actually parking. Thanks! Get a free ride with my Uber signup code! Free $15 ride for first time user. Brand new to this “Uber thing”. We have an early breakfast at the MK one morning from an offsite location. My question (because you can’t seem to pre-schedule Uber) is: how can you make sure you are there on time if there aren’t any guarantees and Uber driver will be in your area? After reading this article we decided to give uber a try . We have used Uber 5 times here at Disney this week. Both to Universal and to return from dinner at Animal Kingdom Lodge ( no one wanted to do the hour and half back to hotel using Disney transport) They have all been great and have met some very nice local people. Highly recommend . One word of advise to Canadians though, we put in a promo code for first ride and noticed it was not applied to our first charge. Inquired with Uber and they said it was a Canadian account so promo only good in Canada but they gave us $10 US off our next ride here as a sorry. I am curious too as I am Canadian and was considering using Uber for the first time (with code) from WDW to Universal this April. Can anyone else chime in? I love using Uber in Seattle. I’m excited to ditch the rental car and use Uber in Orlando. Thank you so much for this post. My region got Uber last year, but it’s been sort of a mystery to me, even though I am tech-savvy, because I have a 3 year old daughter and thus need a car seat. I may invest in a travel vest so that we can use the service on our next trip. Thanks again! I’ll be using UBER to travel from resort to resort. Use promo code: uberRides4Free4U to get $20 off your ride. Can the coupon codes be used by multiple people? Or is it once it’s used it expires? Unlimited number of people can use your coupon code that you give out, but each new user can only use a coupon code once as a way of introducing themselves to using Uber. We love UBER and we use it every where we go! Feel Free to use our code for a $15 discount! Here’s another uber code for anyone looking for their free ride! Thank you, Katie! Heading to WDW on Friday and would like to use Uber for a quick grocery run. A friend who drives for Uber was told she could not go into Universal to drop off or pick up Anyone ever heard of this or for Disney? I grabbed a Uber Promo Code at random from one of the comments… please feel free to use mine. Can an uber driver pick me up at the Polynesian hotel and take me to the MCO airport? I know so ubers can’t pick you up at the airport but can they take you to the MCO airport? And if yes, around how much would it cost? THANK YOU!!! Hi, Did you get an answer on this one? I am wondering the same thing. Just wondering if anyone knows how expensive it is to go from All Star Music to Universal? I never used Uber before and don’t know the cheapest way for 3 adults/teens to get over to Universal for the day. As shown in 1 of the screenshots, you can get a fare quote within the app. It’s probably the cheapest way to get to Universal. In the morning (weekday) I paid $14.60 from all Start Sports to Universal. Using UBER in any city can save tons of money. Its a reliable alternative when traveling from Disney resorts to Universal. The average fare is around 30$ ish. Hello and great advice! Here is my Uber code to use for a free ride which my girlfriend and I used to save some money! Really helpful article, thanks for your advice! My sister and I are planning on using uber for our trip to WDW in a couple of weeks, as we are 21 and 18 so can’t rent a hire car without a huge charge. Do Uber codes expire? We are heading to DW in May, if I use these codes then will it still work? Is there a limit to how many codes you can use? Free rides must be used within 3 months. Would this be a good option for long distances? In October my boyfriend, best friend, and her bf are doing 5 days in DW then going on a cruise! We want to get to the ship early but the taxi prices are insane. We were looking into different options but we never considered Uber since it isn’t super popular where we live. Any advice??? Another option to get from WDW to Port Canaveral is renting a car. There are several places around the World to pick up the rental, then the rental places in Port Canaveral all have shuttles to the ship. My husband and I did this just last week. We used a shuttle service called Cotrans. It cost us $40 round trip each person which was a lot less than some other options. Just Google it. They are a “mom and pop” type but come highly recommended and it was very smooth for us. Have a great trip. Hello! I was excited to read about this possibility using Uber vs renting a car for the week which we don’t plan to use since we usually use the onsite Disney transportation. It felt like a waist of $$ however this will be our first time flying into Sanford airport and from past experiences from MCO airport, mears shuttles are a huge hassle and taxi cabs are very $$ might as well just rent a car. My ?’s are…does anyone know 1) how much it costs to uber it from Sanford – Disney we r staying at the swan and dolphin. 2) do you have to hike it and go away from the airport in order to pick up uber at Sanford like you would have to do at MCO? Sorry if this has already been answered but can we get Uber between Disney Hotels? For instance to/from Caribbean Beach Resort and All Star’s Music Resort? Last question!! Is there a place close to Disney where there is a Walmart/Walgreens etc? I once stayed off site and did see some Walgreens in town. I’m sure if you just go to mapquest hit get driving directions and type in you hotels address and do a search for the end point you will find how many miles it is away. We’re super excited to give Uber a try in Orlando. We used it to great success in Portland and Washington DC (although it’s more expensive in the DC area than Orlando, thankfully). We’re staying near the Convention Center because we wanted to do Universal AND Disney, so Uber is the best of both worlds since our Hotel Shuttle doesn’t leave to go to Disney until 10:45. Does anyone know the best place for dropoff within the parks that won’t get your driver a parking charge of $17. I read about that somewhere else and was curious if anyone knew anything about it! We’ll let you know how successful it is. Can they use the taxi rop off area? It’s where all shuttles and taxis drop off and pick-up. Uber don’t have to pay the $17 anymore apparently. They just say they are doing drop off and drive straight through. Can Uber pick up at Shades of Green and take us to and from Animal Kingdom or Typhoon Lagoon? Uber isn’t allowed on the Shades of Green resort grounds, so Uber has to pick up right at the gate guard’s shack. It’s about a 3 minute walk from the golf pro shop. Yes, Uber can go to the TTC. Hey Steve, thanks for the code! Leaving next week for Disney and I already have it entered into my phone. This will be my first time using Uber. This is perfect, I’ve been avoiding universal due to the difficulty of the trip since I use Disney transportation. thanks for all the valuable information. We (family of 4) are renting a car for the early part of our trip so we won’t need transportation from MCO to Disney but will need to be ride from Dolphin to MCO. Will Uber be able to DROP OFF at MCO? You mention pickups from the airport but don’t include dropoffs. Thanks! Use code and get a FREE ride! Yes, Uber can pick up at the resorts. Check the “Where can you use it?” section of this post for details. In January, we’ll be traveling to WDW with twin 4-month-olds, 2 adults (18+), a 14/15-year-old (b-day during the trip), a 13-year-old and an 11-year-old. This will be our first trip to Disney! ? What transportation would you recommend to get from SDF airport to All Star Music and back? Sorry; I meant from SFB (Sanford Airport) to All Star Music Resort. Thanks, Loui– I’ll definitely think about that. However, I think the price might be a bit out of our league; we really only need transportation to and from the airport, and I suppose if we rented a car, we would have to keep it with us throughout the entire trip. If we did not need car seats (as I previously mentioned, we’re traveling with 2 under-age-1 infants) we would probably do Uber. Also, seven seats means we’d need a pretty big car! I’m interested in hearing what you decided. I too will be flying into Sanford and don’t really want to rent a car and am considering using uber. Have fun and keep us updated how it went! So in simple words, if you have a 15 month old and you want an uber you must have a car seat correct? Yes, you basically have 2 choices: 1.) Use Uber and bring one of the inflatable ones that I linked to in the post, or 2.) call a taxi and request a car seat. My code is bethanyr580ue – uber has been a huge help while we’ve been visiting Disney world this week! We’re in Disney from 24th Dec. New to Uber but we are going to try it out! Our code is lindam5525ue. Hi Linda!! Thank you I will be there the same time as you and I will use your code for sure!!! THANK YOU!! We’re in Disney until December 15th. Code is lindsayb2706ue! Hi, here’s an UBER code. We will be trying this out on our trip next week. Hoping to earn a few rides! kurts1390ue (0 is a zero). Thanks! My uber code is jennifers7859ue! Thanks. Travelling out on 25th December from London, plan to use Uber as much as we can!! Thanks for all you awesome advice, it’s really appreciated. After many twists and turns my daughter is finally graduating from college and we are celebrating!! So proud of her that we told her we are taking her to DW and I want to check out Uber. My code is patriciak995ue (could it be a little longer – lol) in case someone needs one! Thanks!! Hey, y’all! We leave this Sunday and I’d like to get uber from Hollywood Studios one night after the fireworks. Has anyone done this? I do have a 5 year old. Just making sure we do have to bring our own seat? Is it possibly to get a regular taxi or car to HS in the evening that would have a car seat? We are flying and don’t really need a seat otherwise. A towncar is picking us up and dropping us off to and from the airport. Thanks! Use my code for free ride on Uber! If anyone has any questions about Uber, reply here and let me know! So if I wanted to get Uber to and from MK, wheres best to get dropped off and picked up to avoid any confrontations with Disney staff or car parking fees? Hey friends! Use my code and we’ll each earn a free ride with uber! Thanks.. Thanks for this post! My husband and I were just discussing how to get to an early ADR at Epcot next month, and Uber sounds like the way to go. Also good to know that Uber isn’t allowed at the Magic Kingdom. Can’t wait to try this in January. Thanks for the great info! That is a zero, not an o.
I can’t wait to try this in January! my promo code is margevaue. So excited for our trip in 2 weeks. I am looking forward to trying Uber for travel around Orlando! Just signed up for our trip in 10 days!! My code is … lorim2175ue. Thanks for posting this! I’m trying to decide if we should Uber to our Sanaa lunch ADR, since bus will take at least an hour from POR. My daughter is 5 and quite tall and we are not bringing her booster with us. How does the pricing of Uber XL compare to Uber X? We’ll be a party of 6. Using a fare calculator, an Uber X ride from AoA to Contemporary for Chef Mickey’s should be around $8. I couldn’t find an XL option on the calculator, though. Never mind! I started playing with the app and found the fare estimate option. I’m taking my oldest daughter from Disney Caribbean Beach Resort to Universal on her 10th birthday (she’s a Disney fan AND huge Harry Potter fan!) and I’m very nervous about using this service for the first time ever…Free or $20 off sounds too good to be true…. Thanks for the code!! plan to use it in about 10 days!! This is such a helpful post as always, thank you!! Great post! I’ve never tried Uber but hoping to do so in a few weeks!! Thanks for using my code.. Can’t wait till my trip in February! If anyone else would like to score a free ride, and send one my way… I’d appreciate! Hi! I just applied your code and hope to use it in a few weeks! I just entered your code and will also use it in November 🙂 Thanks! Hi There! I can’t wait to use Uber. I love using it in Chicago. My free ride code is alisah92ue! Surge pricing was quoted as 3x regular pricing last night (Saturday) when attempting to uber from the Polynesian to Pop Century. Didn’t find $70 to be worth it. Might want to keep this in mind if you have Saturday night plans. Uber is an amazing app getting to and from places within Orlando, highly recommended!! Have fun and be safe around your surroundings!! There are alot of free codes on here. How many can I use? just one? I can’t imagine I can keep using free codes and not have to pay for rides. do you have to use paypal or can i somehow pay with credit card? Just 1 code allowed for your first ride and you have to pay for rides after that. You can use PayPal or credit card as payment. Thanks Shannon, I really needed a step by step on this. So this was the perfect article. Is it possible to put a folded wheel chair in an Uber XL? Thinking it should fit in the back of a minivan? Any info for wheelchair users? Used Uber loads when there in Sept at Disney. They came to the CBR no probs and dropped off more or less to the door. Brilliant service and at first we were tipping but then I added 20% on the app so didn’t need cash at all then. Thanks for the great tips! We are visiting WDW for the first time the week after Thanksgiving for my daughter’s 6th birthday. This will be a great help. If anyone would like my uber code, it is lisah6336ue. The UberSELECT coverage area has recently been expanded to include all of the Disney World resorts, including the Grand Floridian. Happy Ubering! What is people’s experience with strollers? We will probably have a double stroller (city mini rental) and would like to use the service occasionally (will have bumblebums for car seats) has this every been an issue for anyone as far as space? Hi all! Glad to share my uber promo code so we can both score free rides!! Thanks in advance and good luck! If you haven’t taken a ride with Uber yet, try it! Use the promo code richardk1577ue to get $20 off your first ride. Enter it in the promotions tab before you request a ride. I know there are lots on here but here’s my Uber Promo Code! $20 free ride for you and for me! We are going to be in WDW in 15 days! Can’t wait!!! We usually rent a car because we needed to get to midweek bible study and then worship on Sunday. Do you know if there are any restrictions that would prevent us from using Uber to get to our church building? Also, what is the typical cost? Is it per mile? I don’t know about Florida but I have seen a lot of newspaper reports in UK about Uber, especially in London and I would never use them because of the bad reputation they have. Many of the drivers don’t know where they are going and have dropped people off at the wrong address. They frequently overcharge. The drivers are unreliable and also not good or decent people – untrustworthy. So please be aware of this in UK and do not use them. I just wanted to add a word of warning. An Uber driver using their personal vehicle may or may not have insurance. Many personal auto policies specifically exclude using your vehicle for business. So if you are injured in a Uber vehicle you may have to fall back onto your own insurance. Uber doesn’t appear to screen their drivers, anyone can sign up, so personally I would rather pay taxi fare or use one of the many transportation services in Orlando. I am actually a former uber driver and can tell you, they do require you to carry your own insurance. Also, uber carries insurance on each car while the app is in use. All of that information is available on their website. I just wanted to point out, that unlike taxi drivers, who must be licensed and are monitored by their cab company, Uber drivers can be absolutely ANYONE. There have been many instances of people being robbed, attacked, etc. Definitely something to consider under the “Why wouldn’t I use this” section. This is a very serious concern of mine as well, and the reason why we chose not to use Uber. I simply do not feel as though it’s safe. I’m actually really surprised this isn’t mentioned in the article as well. It feels much safer to me than a taxi. I’ve been scared on several taxi rides but never in an Uber. My code is lauriec896ue. Can’t wait to try it out on our trip in 2 weeks! How late can you use uber? We are planning on being at the Wine and Dine race after party and my guess is it will be 2 or 3 AM when we are heading out. Would uber work for us then? Yep. There are people who purposely work that shift, primarily because they know most people who need rides at weird times are headed to the airport which is a nice long ride for them. Thanks for this great information!! I’m curious about the tipping. Is everyone tipping their driver? If so, what is the going rate? No, I’ve never tipped, though I often wish I had cash on hand when I’ve had luggage with me. Tipping isn’t normal on Uber rides. I agree with Shannon, Uber is very convenient! Use my code e8r3a to get your first ride free (and, insider tip, as many of you in your group that have cell phones, even teenagers, can use the same code and rack up a series of free rides!). Get a free uber ride!! Five of us are traveling with a 4 year old and no car seat during Christmas week. We have a 7:45 AM breakfast at Chef Mickey. Since it now seems that Uber is not an option for us, are the rules different for taxi transport? Will our 4 year old be able to ride in a taxi without a car seat? You can request a carseat ahead of time if you schedule a taxi with most companies. We plan on using Uber AND Lyft (same concept as Uber, different company) to get us to and from Universal in a few weeks! I’m slightly worried about surge pricing during the morning trip since it will be during ‘rush hour’ but I’m hoping the coupon code will help!! BONUS: Using the first time user discounts for Uber (getting there) and Lyft (on the way back), I’m hoping to maximize the savings. I’ll also be sharing the codes with my husband as he’ll have his own account which would double the coupons. We loved using Uber on our last trip! Just like you suggest, it saved tons of time when getting to our dinner reservations at resorts. My code is leslien6 if anyone would like a free ride. My Uber promo code is iu9hh. Thanks! Hi I noticed that you mentioned not suitable if traveling with children under 4. My son is 2 does this mean I can only use taxi’s. Would love to save some money. I have loved using Uber in many cities. Cars are cleaner and the drivers are more polite and friendly, since they have to maintain a high rating. People can use my code to try a free trip. It’s sarav12. You enter it in the app under Promotions in the menu. If you use Uber for the Hoop-Dee-Doo, make sure you’re absolutely clear that the destination is at Fort Wilderness Campsites (not Resort). Shannon, what could we have done differently? I think you could’ve put your destination as Pioneer Hall instead. Uber has made my life easier in SOOO many different cities. I’m hoping that using it will help with some of my impatience/anxiety in WDW. I’m definitely planning on using Uber for my early morning ADR’s. My code is ubermaryk22 for anyone wanting to use it for a free ride (up to $20). I’ve used Uber in places like Chicago and D.C. and was excited to hear it worked so well at Disney World, too! It’s a very easy and stress-free way to get around, and I’m looking forward to giving it a try at Disney this summer. Feel free to use my invite code carrieb13 to get your first ride free (up to $20)! Thanks! We used Uber last time we were leaving Magic Kingdom. For some reason there was backlog of people trying to enter the park as we were leaving. It was so crazy–we could not make our way to the bus stops because of the mass of people. The only way we could go was left so we walked to the Contemporary. The line for the monorail was long so we called Uber (thanks to Wdwprep) and in 7 minutes he was there. It saved us hours and a lot of frustration. We had to pay surge pricing but we didn’t care. Thanks for this article! Our family was in WDW in Sept and I was tempted to use Uber a few times but wasn’t 100% sure what to do. An adult only trip in Feb 2016 will be a perfect chance to try again! I love using Uber at Disney World! It’s especially helpful when we want to visit Universal Studios and are staying on property at Disney! Feel free to use my coupon code/invite code “caseym1117ue” for $20 off your first ride!